At first glance one might assume that Jake Robert’s class is a gym class. It’s not. No, it’s actually a French class at Montreal’s Options I alternative high school. Spin bikes in a French class you ask? Yes, and yoga balls too! Teacher Jake Roberts wanted to make Options I a little more, well, “alternative” when he started teaching there this year and that thought eventually morphed into the idea of fusing academics with physical activity. With childhood obesity and ADHD being two major going concerns in education, Robert’s approach seems to tackle both birds with one stone, so to speak. But does it actually work? 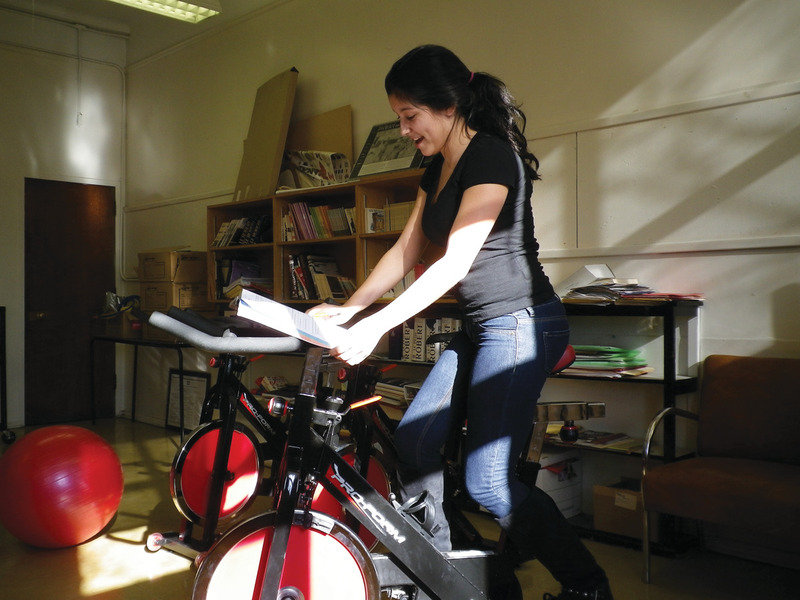 Grade 10 student Shanel cycles while practising her French at Options I Alternative School. Roberts studied physical education in his bachelor of education program and believes that exercise can be seamlessly integrated into real-life activities such as learning. “There’s no need for exercise to be boxed into a certain time slot or a certain place (gym). We can exercise and do other productive things at once,” said Roberts. Of course this idea is not a Jake Roberts creation; yoga balls are not new to the classroom. 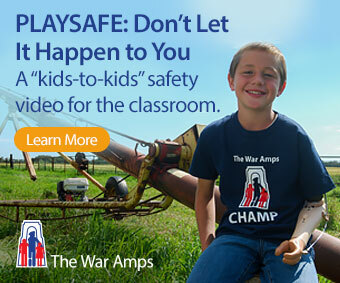 Many teachers have recognized them for their ability to stimulate sensory input and reduce physical agitation. Even spin bikes are likely no stranger to schools and classrooms. However, where Roberts might be breaking ground is with the idea that traditional academic learning can be fused with meaningful physical exercise— that we can sit on a spin bike and learn French simultaneously. Although the jury is still out for a couple of students—one said he’d rather have a chair—most agree that this is indeed working. Certainly it is nice to see experimentation in the classroom setting. Despite much ado about nothing (also called reform), classrooms remain largely the same as they did a hundred years ago— kids sitting in desks with a sheet of paper facing a board and listening to the teacher. One thing is for sure; so long as those wheels are spinning calories are a burning! And that can only be a good thing.